Tiara 5800 Sovran 2014 Reduced Price Express Cruiser : Atlantic Yacht & Ship, Inc.
Great news! Our Tiara 5800 Sovran 2014 reduced price to $950,000! This 5800 Sovran Express Cruiser is a true “Baby Doll”. Rarely can we find such a low hour, late model Express available for sale. At first sight, her quality shines through. Not to mention, her performance is impressive! To illustrate, her triple 435 hp IPS Volvos top out at 33 knots. That’s fast! In addition, she only draws 3.6’ of water. This 5800 Sovran is popular with Owner/Operators because she has the Joystick controls. This means that maneuvering is effortless. Docking in the most challenging situations now becomes a breeze! Another terrific feature of the 5800 Tiara is her helm seat visibility. The captain has clear view of both the waterway and of the salon interior. This open plan is great for socializing but at the same time allows for plenty of natural light. Numerous options include water maker, Satellite TV, Metallic hull paint, and much more! The Sovran 5800 makes the perfect express yacht. Take advantage of the reduced price and make an offer on this incredible Tiara 5800 Sovran! For more information, Contact Joe Marino, Central Agent, at 954-328-2059 or email joe@ayssales.com. 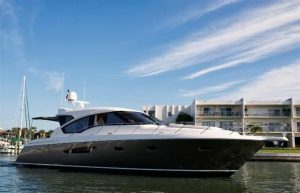 Motivated deal on a 39′ Tiara yacht for sale in Florida! 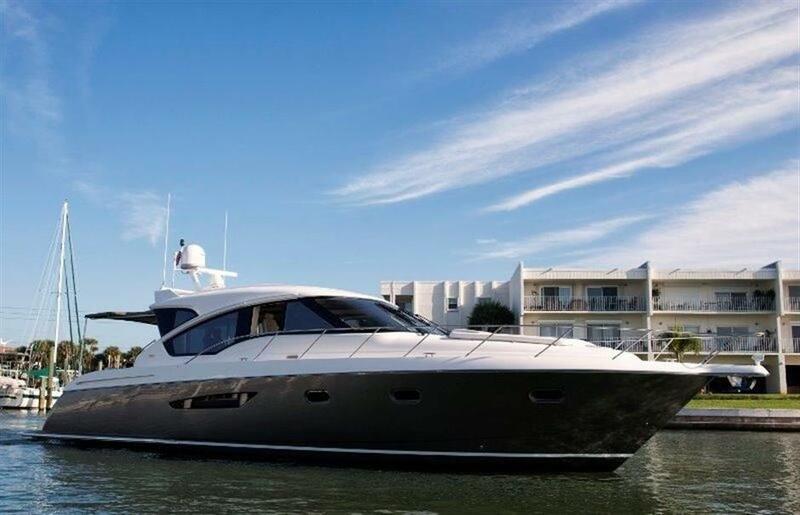 This pre-owned 39′ Tiara yacht for sale is a must see! Price reduced on this used 42′ Hydra-Sports 2014 yacht!